For SXSW 2016, we built an immersive augmented reality experience for Spotify and Syfy channel at The Spotify House to launch Hunters, Syfy’s new show premiering April 2016. In Syfy’s Hunters, a new series from the producers of The Walking Dead and Syfy’s 12 Monkeys, alien terrorists who are called “hunters” come to earth and use Spotify to communicate cryptic messages via the music. 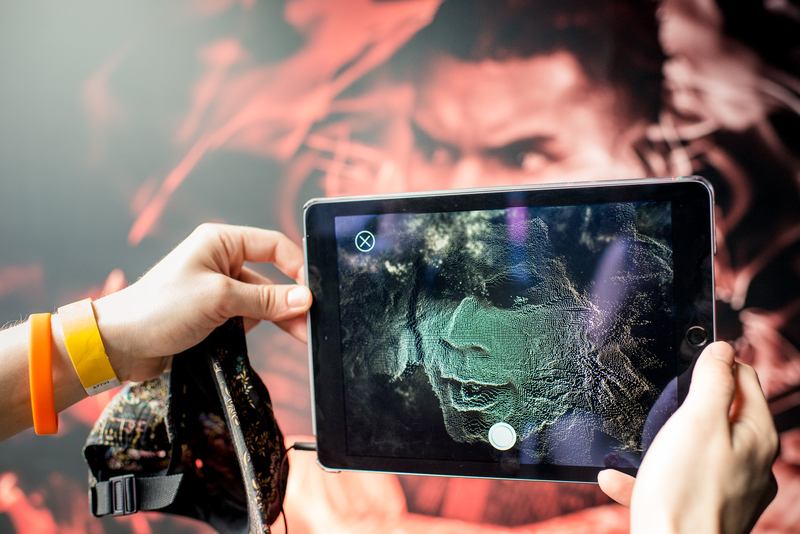 As the Hunters see the world through sound waves and messages, “Hunter Vision,” an augmented reality experience for the audience to view the world through the engaging and beautiful Hunters lens. 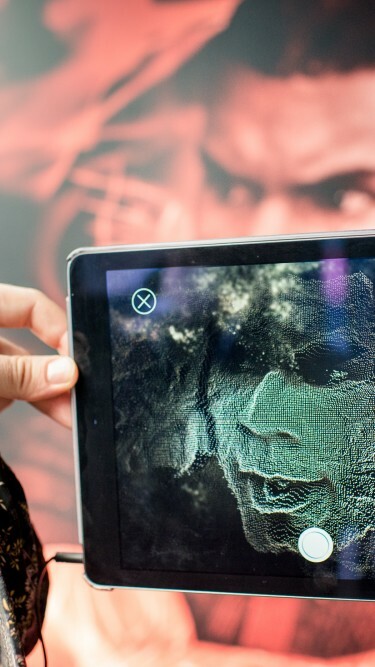 Inside a Hunters branded shipping container at the Spotify House, guests explored their friends and the surrounding area as the aliens would through “Hunter Vision” on a custom iPad application. As guests interacted with their friends and their environment, the sounds and sights of Hunters’ world came to life set to the series’ soundtrack. In-app video captures allowed them to share the experience directly via social media. At least 423 videos were processed, where each one represented someone sharing via Twitter or email. The @huntersvisionsx live-tweeted the event.